The recently opened precinct of Barangaroo is quickly becoming a must do as part of your Australia Private Tour. Located on the eastern shores of Darling Harbour in Sydney, the area has been restored from a disused industrial site, to now house magnificent parklands, modern restaurants as well as a vibrant cafe and street culture. 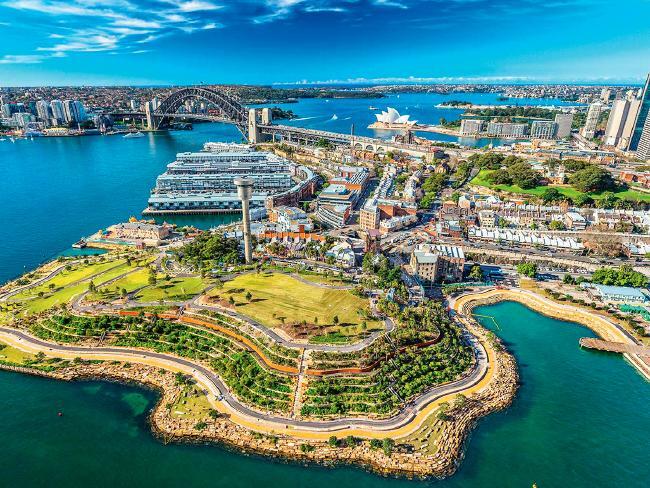 If you are visiting Sydney, luxury travel companies like Australian Luxury Escapes can arrange a wonderful few hours, half a day or a full day to truely experience the best that Barangaroo has to offer. Here are some of my top picks. Start your day by grabbing a coffee and tasty treat at Bourke Street Bakery. With its origins from the neighbouring trendy suburb of Surry Hills, Bourke Street Bakery features some of Sydneys best coffee. Relax outside and enjoy some people watching while contemplating your day ahead. 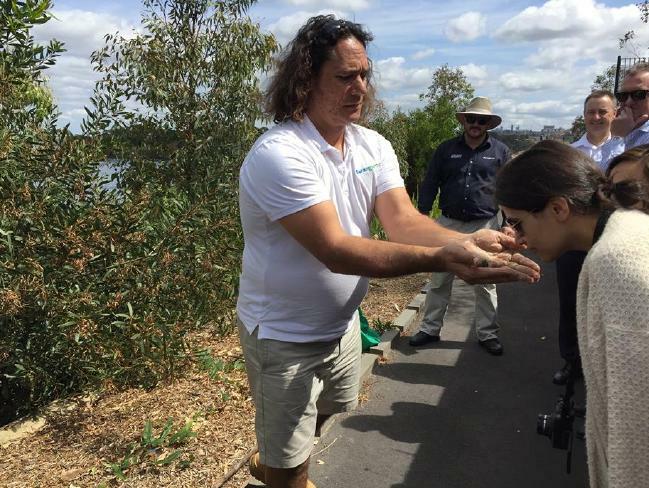 Next move onto the Barangaroo Parklands and take a guided walk with an Indigenous guide. Barangaroo was an Aborginal woman who was married to Bennelong, another well known Aboriginal man. So the park is a significant Aboriginal site. Your Aboriginal guide will give you a thorough interpretation about the history and culture of Aboriginal people in Australia. You will also learn about “Bush Tucker” and also gain an insight as to how Aboriginals used different plants for a range of purposes. The views of the harbour and surrounding suburbs are also worth the walk. You can link this great experience with a Barangaroo Rocks walking tour. Along with the history and culture of Barangaroo, learn also about the history of Australia on this fascinating exploration on the local area. By now you would have worked up quite an appetite. 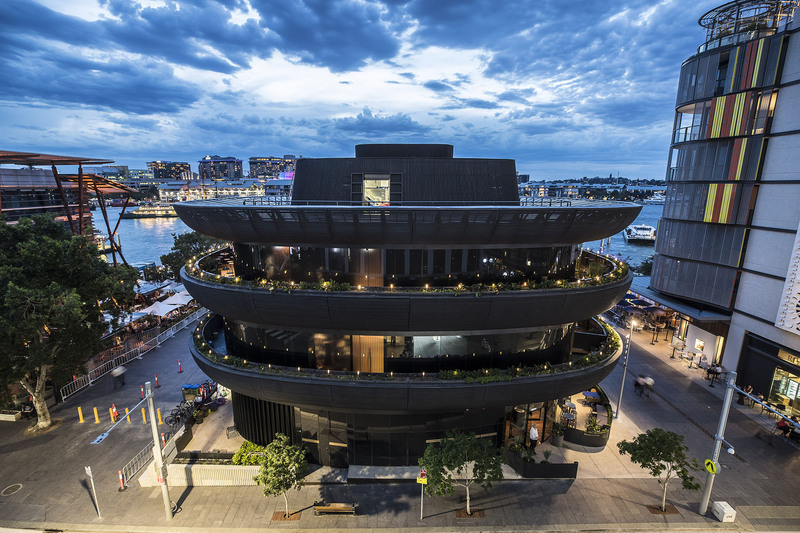 Make your way to the recently opened Barangaroo House. This is celebrity chef Matt Moran’s latest project and features 3 levels of dining options. The rooftop bar and restaurant Smoke, the second level fine dining Bea and the relaxed House Bar on street level. My pick is House Bar. 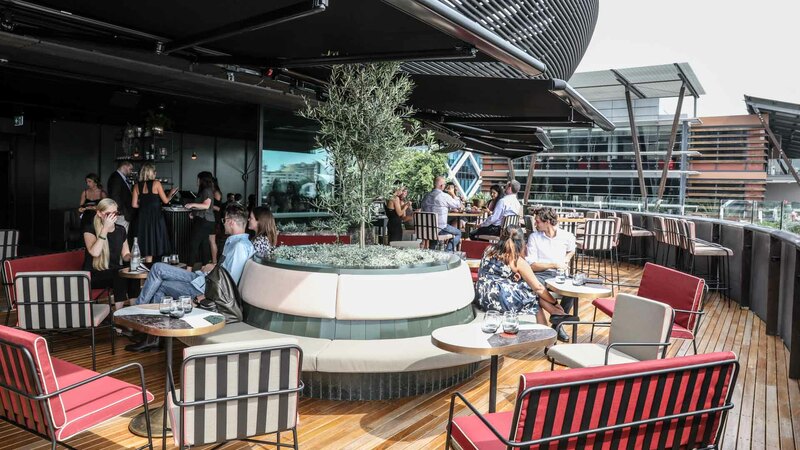 Sitting under a modern marquee, your view extends out to the bustling Darling Harbour with beautful views. The service is great and food is excellent. After lunch its time to hit the laneways of Barangaroo. 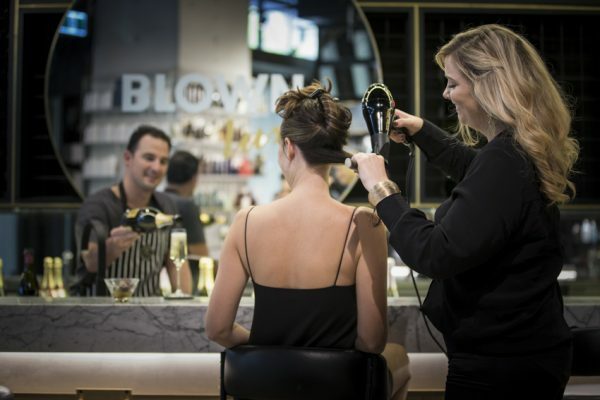 Enjoy a gelato at RivaReno Gelato before sipping champagne while having your hair done at Blownlux. For some retail therapy you may also want to peruse the brand new David Jones small concept department store or the exquisite Belance’. At The Standard Store you will find a wonderfully curated collection of sought after Australian labels, accessories and lifestyle must haves. Whatever you are after, the laneways of Barangaroo will have it. Extend your adventures to the neigbouring Darling Harbour and you will find interesting places like the Australian Maratime Museum,The Power House Museum or the Sealife Aquarium. Darling Harbour has undergone a major refurbishment and today is a well set out, family friendly destination featuring great restaurants and cafes. To finish off your day, one location on your list of experiences should be Momofuko Seiobo. This 2 hatted restaurant is situated within the Star Casino and is the original New Yorks restaurant first offering outside of the US. 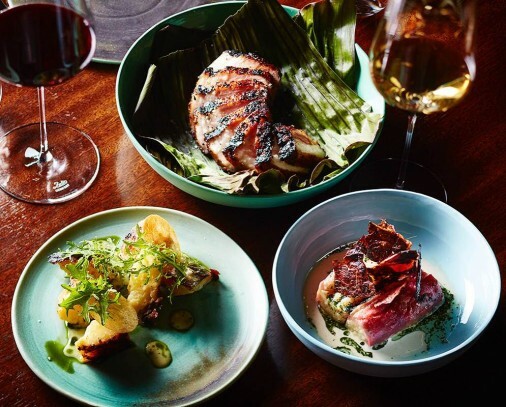 Executive Chef Paul Carmichael draws on the bounty of fresh Australian produce to create a 12 course extravaganza which can also be paired with matching wines. Reservations are essential as there are only 40 seats available each night. Australia is waiting for you!